Key Difference: Lipstick and lip stain, both are equivalent to each other in that they color the lips. The main difference between both these cosmetic products is that lipstick is of solid form, whereas lip stain is of liquid form or gel form. The foremost difference between both the terms is the way they are produced. The ingredients in these products play an important role. A lipstick basically is produced from wax, and contains oils, antioxidants and emollients, whereas lip stain does not contain wax. 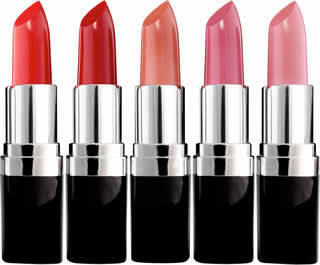 Lipsticks are available in different shades like red, pink, brown, violet, green etc. The most preferable and the popular colors worn by women nowadays are red, brown, maroon and pink. Women usually select shades according to their skin color. They also come in numerous flavors of fruits like strawberry, cherry, grapes, and many more. Lipstick is one of the most needed products that one can see in almost each woman’s handbag. Ancient Mesopotamian women were possibly the first women to invent and wear lipstick. During 19th century, the dark red lipstick became very popular and after that the different colors came into existence, but with limited number of shades. Lip stains, nowadays are widely used term. It is more like a lip color. Lip stain is basically a cosmetic product which temporarily stains the lips, the color of which sometimes lasts all day. Before applying or using lip stain, one should notice their lips first. Lip stain is a sticky gel, and a bit of alcohol is added in the product, which dries the lips. As a result, a woman needs to apply moisturizing balm after she applies lip stain. It is has been observed that lip stains are not good for lips. It dries the lips and also changes the color of the lips. One needs to very sensitively take care of their lips while applying lip stain. As compared to lip sticks, lip stains are very easily worn, and can be applied without any pressure. Whereas, a lip stick is a solid form of product, thus one needs to be very careful while applying it. Brandy, hot pink, chocolate, Plum, cappuccino, blush, spice, red, etc. Red to brown, black, blues, green, and other shades. 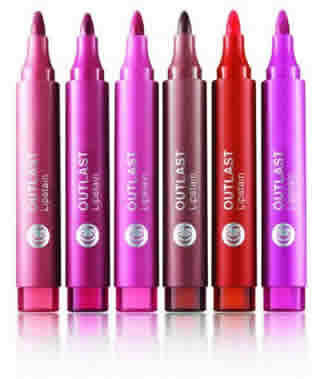 Flavored lipsticks are very recent trend in the makeup industry. Orange, chocolate. Strawberry, beer, menthol, etc. Lipstick contains wax, oils, antioxidants and emollients. It does not contain wax. Lipstick is not just applied for color, but it is also worn by women for protection. Color long lasts a whole day, though stain is temporary. It can be very easily applied on lips without any efforts. Lipsticks usually dry lips – it tends to crack leaving your lips unattractive too. Applying lipstick is more time consuming as compared to lip balm. Beware of lipstick; bad ingredients might also give you cancer. It is not good for lips. Not preferred in winter season.